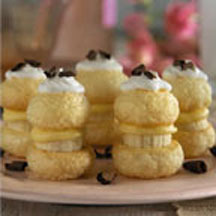 CooksRecipes has quality, kitchen-tested recipes for diabetic-friendly puff pastry desserts that you can count on for accuracy and deliciousness. 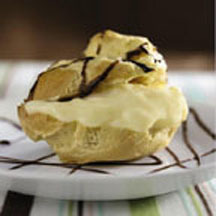 Puff pastry shells filled with thick custard and drizzled with chocolate sauce. A uniquely satisfying and indulgent guilt-free dessert!